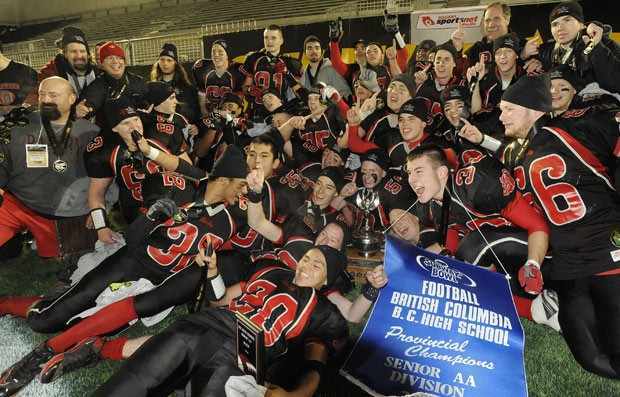 It is reported in the Vancouver Sun that the John Barsby Bulldogs defeated Handsworth Royals to win the provincial high school boys AA football championship with a resounding 53 - 27 score on Saturday. What is described as an unstoppable double-wing running attack and a surprising passing game propelled the team to their victory. The last time the bulldogs took the title was in 2000.